Triptography is an app created for the 24-hour Photo Hack Day NYC. Team member and full-stack developer, Jacqueline Williams, had the idea of building an app for travel. The rest of the team, which includes full-stack developers Eric Kramer and Maria Schettino, thought that it was a great idea to build an app that allows users to plan their day in a new place using locally-sourced photos. The Triptography team really likes working with APIs, so they knew that methodology would be a big part of the app’s development at Photo Hack Day. They ended up using 14 different APIs from Ajax to PostgreSQL to Balsamiq to Google Maps. In only 24 hours, the Triptography team came up with a slick travel app where users can search for local suggestions for a city and get image-based results. Not only that, but they were also the winner of the Photo Organization Prize, Best Foursquare Hack, and Best Filepicker Hack. 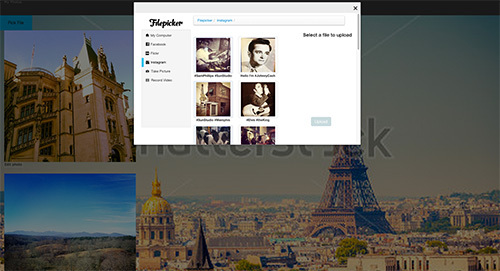 One reason that Filepicker was chosen by the Triptography team to integrate into their app is that they could customize the widget with dozens of sources. The Filepicker widget will allow users to have a record of their trip on the app by inputting photos from Facebook and Instagram. They’ll also be using it to take pictures and videos. 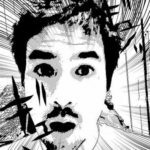 Future plans for Triptography include an image carousel like a randomized landing page, and creating a social network where you can share your trip with different activities in a photo album. For example, if you’re going to Paris, other Triptography users who are also going to Paris can check out your itinerary and add some of the things you’re doing to their own itinerary. As well, you’ll be able to choose other users’ previous activities and add them to a map plan for your own trip.